Sophisticated? Not really. Extraordinary? I don’t think so. If there is one word to describe traditional Flemish dishes, it would be simply good. That makes two words, true. I could write about why I love some of the classics from Belgian kitchen so much, but then again who doesn’t love the food that you were served as a child. The recipes that were passed on from generation to generation, and to which every mother has added her own personal touch. One of my absolute favourites are vogelnestjes, literally translated as ‘bird nests’. 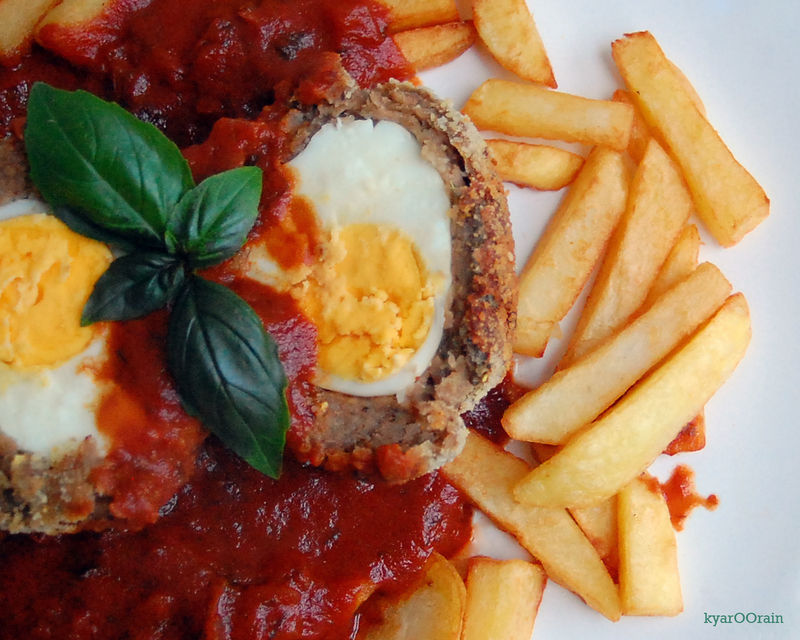 An egg, some minced meat, tomato sauce and a potato side dish. Sophisticated? I don’t think so. Delicious? Yes momma! Chop the onion and let it fry in some hot butter. Add chopped garlic cloves and leave to fry well. Keep on medium heat and occasionally stir to avoid burning. Don’t be afraid to leave the onions for about 30-40 minutes. Add the wine and the tomato passata. Boil to evaporate the alcohol, then leave to simmer on low heat for about an hour. It’s a long wait, but patience is the key to a rich taste for tomato sauce. Mingle the minced meat with fresh parsley, raw egg, ketchup and bread crumbs and season with pepper and salt as you like. Divide into 4 portions. Spread each portion on your hand and create a little ‘nest’ for the egg. 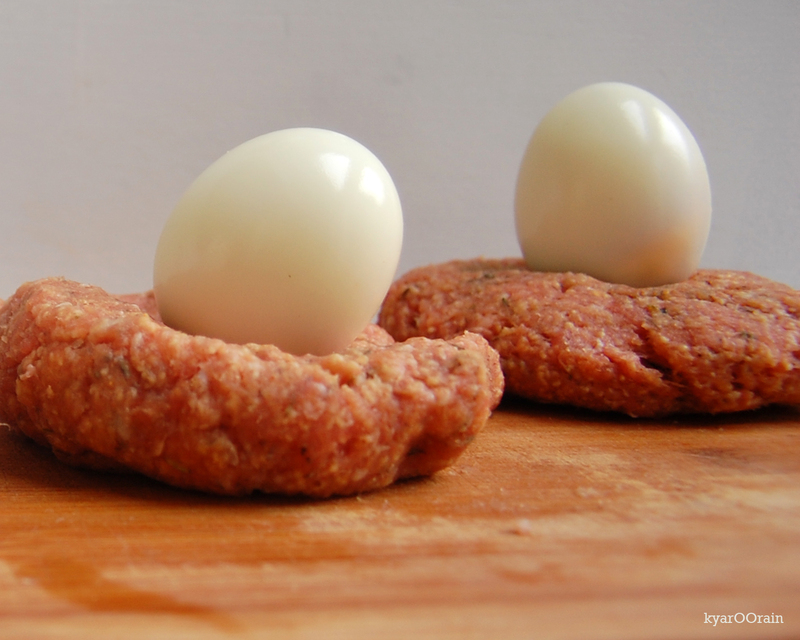 Cover each egg by closing the meat around it and finish with some more bread crumbs. To prepare the bird nest, you can either deep fry it, or prepare it in the oven. I prefer the latter. If you have a special ‘crisp’ function on your oven, you can also use this one. 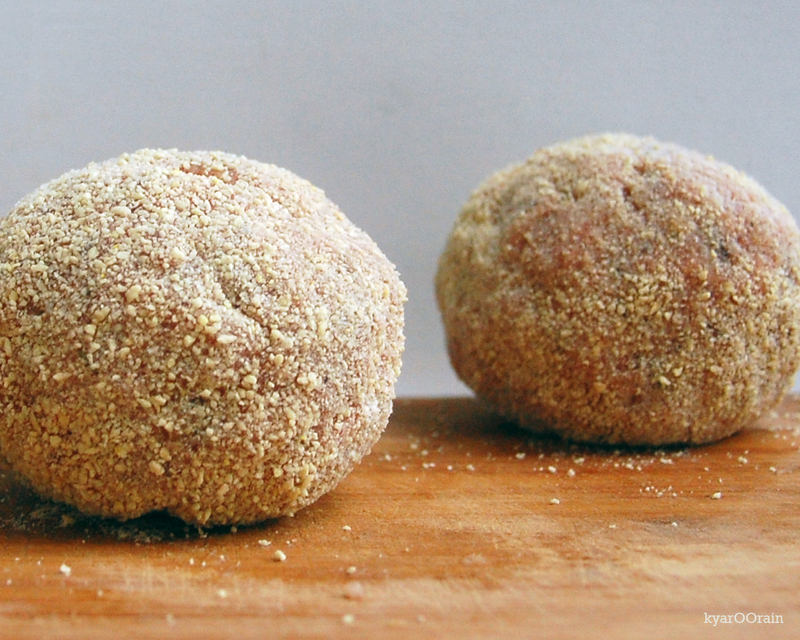 Total cooking time depends on the size of your meatball, but 20 minutes is a minimum time for an oven of about 200°C. Finish your tomato sauce to your likings. My personal favorites are sugar and balsamico vinegar. You can also add a good portion of fresh basil. Cut the bird nest open to show the egg and serve with tomato sauce. There are several options as side dish. My favorites are hand-cut potato fries or mashed potatoes.